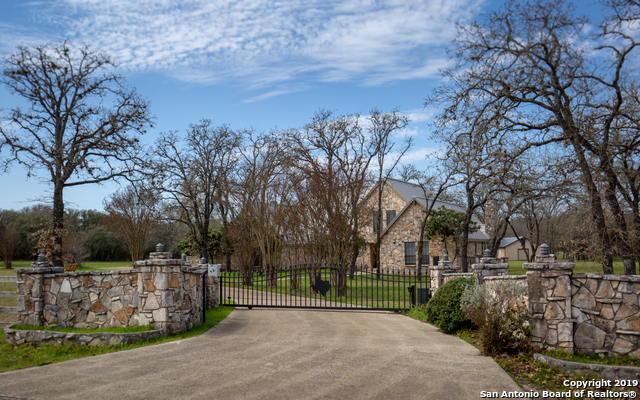 All BIG OAK ESTATES homes currently listed for sale in San Antonio as of 04/22/2019 are shown below. You can change the search criteria at any time by pressing the 'Change Search' button below. "COUNTRY LIVING CLOSE TO EVERYTHING....ENJOY 5 ACRES WITH BARN, GUEST HOUSE AND POOL RIGHT OFF IH 10W....LG FAMILY HOME WITH ELECTRONIC GATE AND ROOM FOR EVERYONE...MAIN HOME HAS 4 BEDRM 3 1/2 BATHS WITH STUDY AND GAMEROOM...TONS OF STORAGE SPACE...GUEST HOUSE HAS PRIVATE BATH, KITCHEN, LOFT AND LIVING AREA...HORSES ALLOWED...GARDEN SPACE AND OVERSIZED METAL BARN TO USE AS WORK SHOP, RV STORAGE OR HOUSE LIVESTOCK..PRICED TO ALLOW FOR YOUR UPDATING..TRULY ESTATE LIVING...NOT MANY LIKE THIS AROUND."